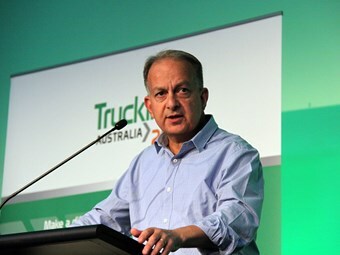 Trucking lobby wants the NTC to go further when it comes to chain of responsibility reform. Reforms to chain of responsibility (COR) should go further than previously proposed to ensure the entire supply chain is held accountable, the Australian Trucking Association (ATA) says. Australia’s peak trucking representative group has lodged its formal response to the National Transport Commission’s (NTC) paper on improving COR, arguing it does not go far enough. The NTC wants primary duties to apply to trucking operators, employers and prime contractors but for role-specific duties to apply to other parties such as consignors, loaders and schedulers. The ATA says primary duties should apply to all parties in the supply chain. Existing COR law mandates prescriptive requirements on how a business must operate, while primary duties provide an overarching responsibility a party must meet but gives them the flexibility to choose how they will comply. Under the NTC’s proposal, COR provisions contained in the Heavy Vehicle National Law (HVNL) will be aligned with the Work Health and Safety Act (WHS Act), which already contains primary duties. "Given the broad influence of chain parties like consignors and consignees, it would be counterproductive to exclude them from the primary duty," the ATA’s submission says. "Excluding them would most likely have a considerable impact on their perceived legal responsibility, with the effect that those parties would have enforcement action taken against them even less frequently, and lower penalties applied. "A more appropriate structure would be to have a primary duty that applied to all chain parties. This primary duty could be supplemented by imposing further duties on specific parties to spell out their responsibilities in more detail." In releasing the ATA’s submission, ATA CEO Chris Melham backed the introduction of primary duties and an end to prescriptive requirements. "This approach would improve safety, because COR parties would have to consider their operations as a whole rather than ticking off compliance boxes. The obligations on businesses and staff would be clear, instead of hidden in concepts like deemed liability," he says. The ATA’s submission, which includes 26 recommendations, says any changes to COR should keep in place driver duties applying to fatigue management. It says COR must include a provision stating drivers should not begin work if they are fatigued or not fit for duty. Furthermore, it says drivers should have a responsibility to stop work if they become fatigued during their shift, even if they are compliant with work and rest obligations. 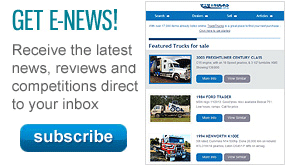 "These situations are a serious and continuing issue for the trucking industry. For example, NTI [National Transport Insurance] research shows that the majority of serious truck crashes occur in the initial five hours of any journey," the ATA says. "The duty is also an important protection for drivers. A driver who is fatigued and needs to take a rest can point to this section as a legitimate reason to take a break." The ATA’s submission also raises concerns that the NTC’s plan to align COR with the WHS Act could lead to truck drivers being pinged for driving longer than eight hours. The ATA says the WHS Act does not prescribe working hours but there is guidance material recommending tasks such as truck driving be limited to eight hours. "As a technical legal matter, the wording of s 18(3) of the HVNL means it would be possible for a WHS regulator to prosecute an operator complying with one of the prescriptive fatigue schemes," the submission says. "This would be unlikely, because it would conflict with the broad legal policy that prosecutions should not bring the law into disrepute. Nonetheless, the inconsistency is a source of legal uncertainty; it should be clarified." The ATA also wants a specific duty enshrined in COR holding consignors and consignees accountable for vehicle roadworthiness. The NTC proposal limits responsibilities to vehicle mass and load restraint, speed and driver fatigue. The submission goes on to say the responsibilities of loaders should extend to vehicle speeding, along with the NTC’s proposal covering vehicle mass and load restraint, and driver fatigue. "The proposed duty does not extend to speeding, even though loading delays could obviously contribute to speeding if drivers and businesses then have to meet inflexible deadlines," the ATA says. The ATA’s submission also calls for the phrase "all reasonable steps" to be replaced given it has no legal definition. "The ATA proposes to replace ‘all reasonable steps’ with ‘so far as is reasonably practicable’, as used in the model WHS Act. This is well defined and has a long history of consistent interpretation by the courts," Melham says. The submission adds that changes to maximum penalties for COR breaches — which could include imprisonment — should be categorised so that penalties can be differentiated based on culpability and risk. It goes on to urge the National Heavy Vehicle Regulator (NHVR) to develop guidelines for the approval of COR codes of practice. 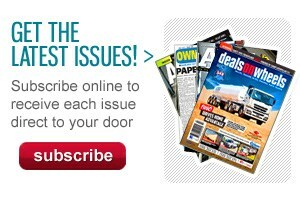 Melham says codes can help the industry comply with its obligations. "The availability of codes of practice with evidentiary status is an integral part of best practice safety regulation. Codes of practice identify one way of complying with the law, while enabling sophisticated businesses to comply in other ways," he says. "However, no COR codes are available, aside from transitional codes in Victoria and South Australia. Not only that, but the NHVR has not yet developed guidelines for approving codes." Melham says the guidelines need to be in place "immediately" and codes of practice available for use before changes to COR take effect.